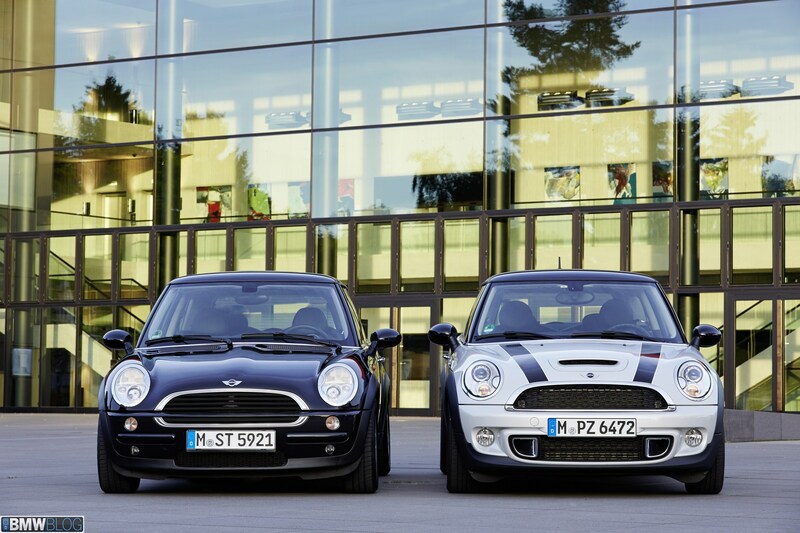 The BMW Power Blog by autoevolution discusses Auto Motor und Sport's comparison that resulted in the MINI being the ultimate winner. 3D Car Shows reports the Castrol MINI John Cooper Works team of Gavin Cronje and Lee Thompson, at Zwartkops Raceway in Gauteng, won all three Bridgestone South African Production Car Championship class T races and set a new lap record. It also raced Father's Day Weekend in round five on the streets of Durban, South Africa. MotoringFile posts MINI's self-congatulatory press release that the MINI Countryman won a Off Road Magazine's 213 Reader's Poll Award and came in second in the subcompact category. WhatCar? 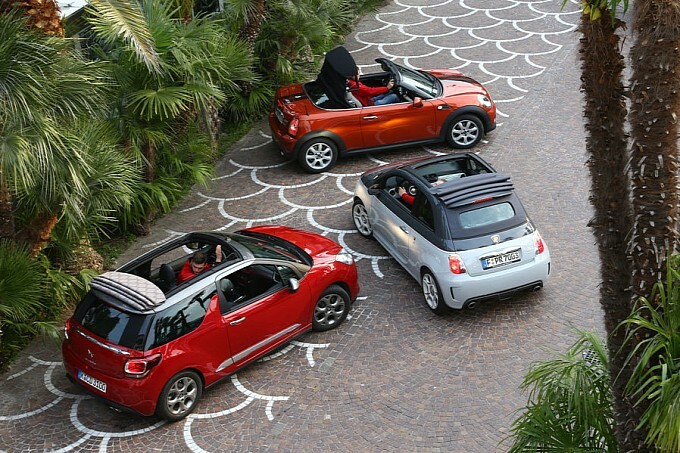 pits the Fiat 500 against the MINI Cooper and opts for the MINI. Read the article to find out why! Make your mind up on the Paceman on account of its compromised packaging and you’ll never see why such a car exists, but for those who crave that Mini style with the extra space and attitude of a crossover, the Paceman Cooper S fits the bill. If you really like the looks, you’ll be glad to know the pricey Paceman handles with aplomb too – but that’s a feature you can enjoy without going crazy with the options list – and without choosing such an overgrown, overweight Mini in the first place. Business Insider provides an article written by Liz O'Connor, published by SFGate, on "The 26 Craziest Custom Vehicles In The World," including the pictured "tricked out stretch Mini Cooper S [that] has 6 passenger seats, 4 doors, 6 wheels and a Jacuzzi . . . ."
The Mini ALL4 all-wheel drive system is active full-time, sporting front and rear torque distribution capabilities. It performed competently on the watered-down autocross course and made it through the dirt course, too. There were no signs of under or oversteer with the Paceman’s ALL4 system. Just plenty of grip to go around. It surprised us a bit, but the Paceman is a joy to drive. It's just lacking in the cargo department for a weekend camping trip with the family. Although other sources indicate the F56 2014 MINI Cooper will debut at the Frankfurt Motor Show, the United Kingdom's AutoExpress provides new spy photos and asserts the debut may not occur until the Los Angeles International Auto Show this November. 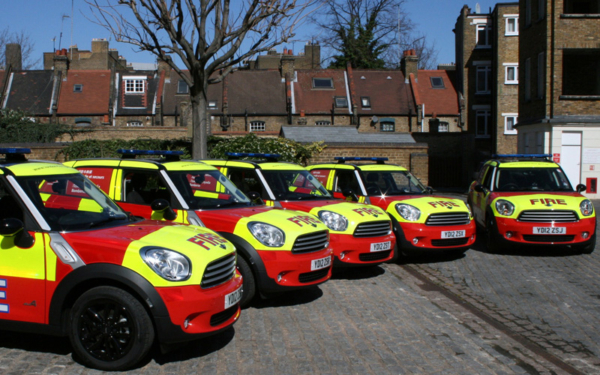 London Fire Brigade Adds Five MINI Countryman ALL4 "Firetrucks"
United Kingdom website Business Car Manager reports on the London Fire Brigade's addition of five MINI Countryman ALL4 "firetrucks." The decision to add them to the Brigade was based on the need for a vehicle to get through traffic and crowds. The TimesofMalta.com says MINI will sponsor Malta's Sliema Street Art Festival which will include a number of Classic Minis courtesy of the Malta Mini Owners Club. 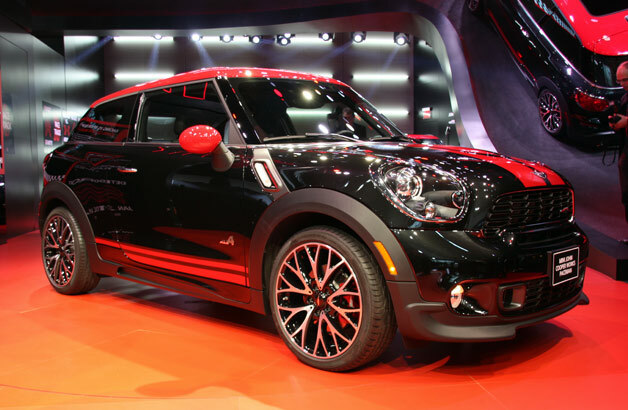 "John Cooper Works GP: The Most Extreme MINI Cooper"
. . . it’s delightful and rich, like cheesecake and espresso at the same time . . . . The company car of the Saint Arnold Brewery of Houston, Texas. In a Fox News.com "Test Drive" Fox News Reporter Gary Gastelu asserts the 2013 MINI John Cooper Works Paceman ALL4 is the best looking of all of the MINIs and is the "1970's Cadillac Eldorado Coupe" of the MINI line-up. The timed sector runs aspect of the training is especially interesting. You get to compete against the clock and against your fellow students on the track. Available dates for the adult full-day classes run from June 15th through November 3rd of 2013. Half-day teen classes are also available from June 22nd through October 26th." mab01uk @ North American Motoring.com posts a nice variety of photos from the start of the MINI Challenge races at the MINI Brands Hatch Festival. Go check out the MINI Paceman Safety Car! The Sioux City Journal.com reports one of Hawarden, Iowa's Howard Van Engen's sheep got loose and was struck and killed by Jose Barrera-Vargas in his 2003 Mini Cooper. Mr. Barrera-Vargas was not injured. The MINI sustained $2,000 in damage. The sheep did not survive. And ilovebassuk does some beautiful videography. United Kingdom's News Shopper reports Rock Hall Of Member, AC/DC's Brian Johnson, is set to race at the Brand's Hatch MINI Festival in a classic Mini alongside celebrity chef James Martin. 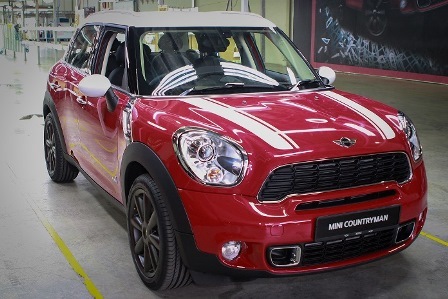 Will MINI Countryman Diesel Be Powered By A 2.0 Liter BMW Engine? BigBlogg spied one in the engine bay of a MINI Countryman. MotoringFile reported on what BigBlogg saw and AutoGuide.com reports on the MotoringFile article. All the generations will be represented at the MINI Festival at Brands Hatch to compete in a handicap race and find the sportiest MINI Cooper S from five decades. There will also be a display of current and historical racing and rally vehicles - including the Monte Carlo winner of 1964 and the MINI ALL4 Racing in which Stéphane Peterhansel won the Dakar Rally this year. Orlando Terranova, according to MINI Motorsport, will race for the MINI ALL4 Racing Team at Desafío Ruta 40 in Argentina, Terranova's home country. Terranova was the first Argentine countryman to win a Dakar Rally stage day victory. Terranova will also compete in the 2014 Dakar Rally for MINI ALL4 Racing. BMWBlog sets forth the ten year history of the MINI Diesel, a history that does not include the United States for some unfathomable reason that BMW has obscured by doublespeak. Roma soccer player Daniel Osvaldo, who is from Argentina. 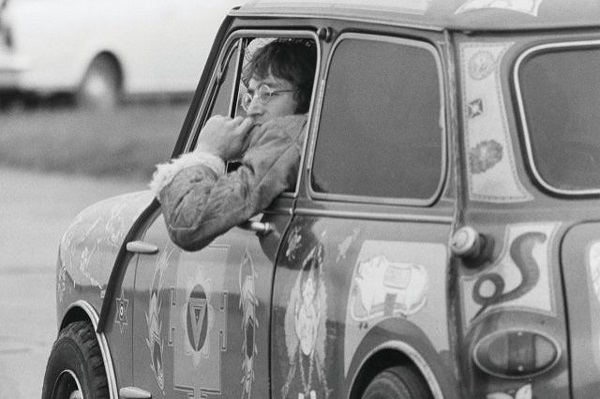 is seen here in his Maradonian themed MINI that displays the number 10 and Maradonia cruising through the Italian capital. MINI's official event driver scaring up some fun before a MINI party in India. 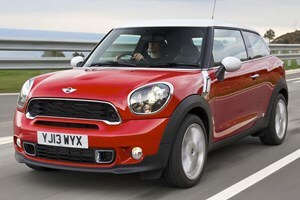 The 2013 Mini Cooper hardtop will be sold alongside the 2014 models until the all-new version bows as a late-2014 model. It starts at $19,700, as it had in previously. But destination and handling has gone up by $95 to $795 for all models, making the cost of entry into a new Mini Cooper hardtop just a hair under $20,500 all-in. All other models but the Mini Countryman and Mini Paceman retained their pricing from last year, with exception of the $95 destination fee increase. The two crossovers went up an additional $100 in their prices, from base Cooper all the way through John Cooper Works performance versions. The Mini Countryman and Paceman add standard heated mirrors and washer jets, though. MINI France is also running the MINI "Not Normal" Marketing Campaign. The New York Daily News, in an article by Nick Kurczewski, lists the 2013 MINI Coupe as one of six affordable, under $25,000 new, sports coupes worth owning. MINI was apparently in on the post signing celebration as the photo of the handshake between representatives of Shell Netherlands and the Van Gogh Museum depict a pretty cool looking Van Gogh Museum MINI! Meetup at 10:00 a.m. at 800 Ikea Court, West Sacramento, CA. A group will leave the Burger King at 190 Pittman Rd., Fairfield, CA at 9:00 a.m. to caravan to the Meetup and you are welcome to join in. An additional group will caravan from Sunnyvale, CA. Check the open NORCAL MINIS' facebook group for details. Please note that the Club will only provide water as a beverage so please bring your own beverages. This is a pack it in pack it out park. Pack a picnic lunch or food to share. 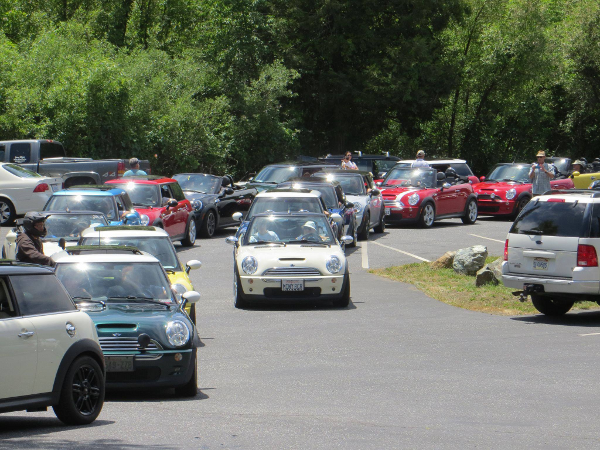 Free lunch of hamburgers and hot dogs for all 2013 NORCAL MINIS' Members. Be sure to wear your orange lanyard and name tag! Members please respond to your email invitations. Non-Members please RSVP to info@norcalminis.com. This is a public run. 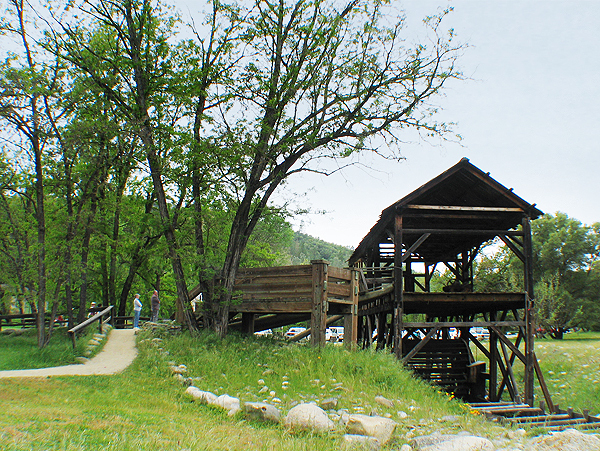 For more information visit the 6/22/13 NORCAL MINIS' Summer Picnic dedicated webpage. The Atlantic Cities has a wonderful article on Ryann Ford's photography of the quickly disappearing unique roadside rest areas of the United States. I sent him a destroyed key. 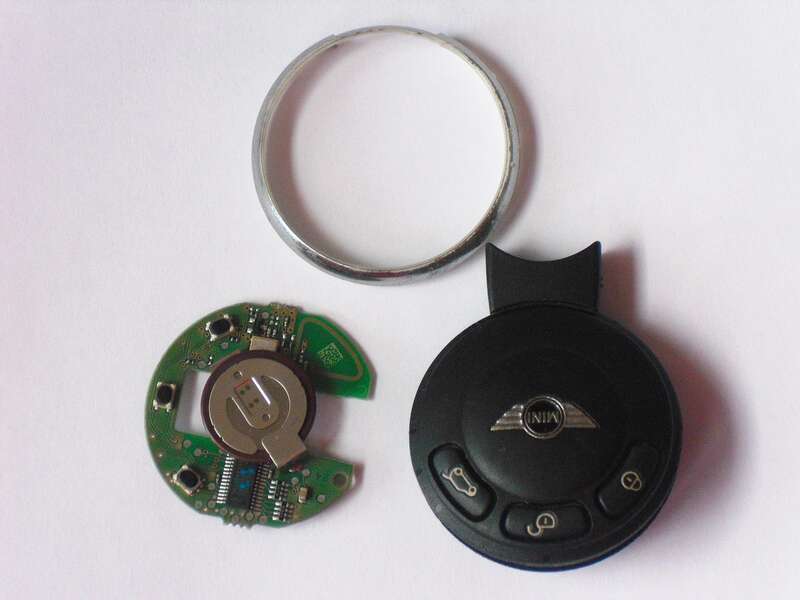 He received the key and after a one day turnaround time he returned the key with a new clamshell cover complete with a chrome MINI emblem, a new battery and it functions perfectly. All the electronics, chips, switches and metal key shank have been installed in a new clamshell cover and the shank is very secure. It appears to be top notch work. Even the metal part of the key appears to have been cleaned and lightly polished. Total cost for my key..... $35.00 including the shipping!!! Give Dr. Hart a call at the MINI Key Hospital. The rail is gone come later this summer when the 2014 models of both cars go on sale. The last 2013s will be built in July. The four-seater Countryman with rear bucket seats will no longer be an option. The previously optional rear bench, which seats three passengers, is now standard and the only configuration offered for Mini's small SUV. The Paceman remains a four-seater, with the rear-seat middle area taken up by a cupholder with iPod holder and 12-volt outlet. A fixed cupholder is added to the Countryman's back of the center console for rear passengers; it also has a 12-volt outlet but no additional storage. . . . Both models also see a $100 bump in prices across trim levels and add standard heated side mirrors and washer jets. Indian Autos Blog posts spy photos and asserts MINI will debut the next generation 2014 MINI Cooper at this September's Frankfurt Motor Show. I love Minis, and despite the ark-worthy rainy season that plagued my test in Detroit, I still maintain that the GP is the best-driving example from the brand I've ever tested. The problem, however, is that it isn't that much better than the already-enjoyable Cooper S, and you give up a lot in the way of refinement and functionality from a daily-driver standpoint if you live in an area with roads like mine. California? The ownership picture, as well as the weather, is probably altogether sunnier. Either way, as a second car, this thing is a sweetheart, and I have no doubt that Mini will sell every last one of the 2,000 it produces. Even so, it's a good thing I have those memories from Puerto Rico – that way there's at least a huge helping of sugar to salve the harsh taste left in my mouth after eight days at home. that MINI will be one of the sponsors of the upcoming John Lennon Bermuda Peace Day Concert at the Botanical Gardens on September 21. The 2nd Annual concert will celebrate World Peace Day by honouring the music of John Lennon and Bob Marley with performances by local and international artists. No MINI Cooper Countryman Or Paceman ALL4 In The U.S.
"Given the unique driving conditions and driver expectations in the U.S., Mini will not offer ALL4 Cooper engine models in the U.S. for either the Countryman or Paceman," wrote Yvonne Malmgren, in response to an Edmunds query on Monday. ALL4 will only be available as an option for the Cooper S and is standard on John Cooper Works models, as has been the case since their respective launches, Malmgren noted. Autonet.ca reviewed the 2013 MINI Countryman ALL4 and BMW Power blog at autoevolution discusses the review that found that the only fault with the vehicle was the price for what the vehicle has to offer. 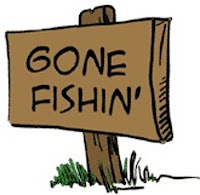 We're off on a short fishin' trip. 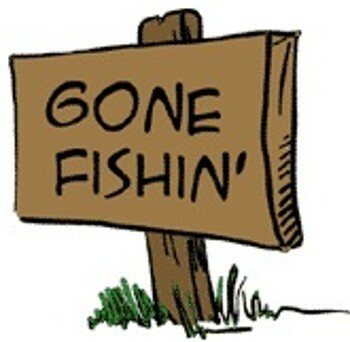 We will be back on Monday, June 17, 2013, to get ready for the June 22, 2013 NORCAL MINIS' Gold Country Summer Picnic. We hope to see you there! 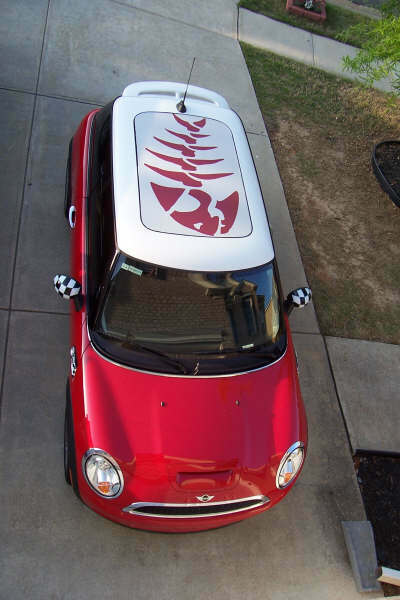 Braminator @ North American Motoring.com reposts a MotoringFile article that, in light of the imminent release of the F56, recounts the first three generations of the MINI. AutoGuide.com compares these vehicles in this video. MINI Space looks at Lolliepop,"a MINI Hatch powerhouse in the front, and a converted Classic Mini trailer in the back" that makes Kettle Korn for commercial sale in New Zealand. Mini Mania Principal Don Racine @ North American Motoring.com recaps Mini Mania's Nevada City Adventure 2013 and provides great video and a photo gallery of the event. EHans @ North American Motoring.com prepared and posted this graphic model-based analysis. Motor Trend's Associate Online Editor Jason Udy takes the 2013 MINI Cooper S Coupe on a road trip vacation from Southern California up Pacific Coast Highway to Santa Cruz, over Highway 17 to the Bay Area, East on I-80 to Reno, Nevada then back to Southern California, and reviews the car's performance. A spectacular MINI crash at the Mugello Circuit during the second MINI Cooper 2013 Rushour race, provided by TheMegaphones @ YouTube. Here, in rounds 1 through 4 of the 2013 Snetterton 300. Braminator @ North American Motoring.com has re-posted a MotoringFile rundown of some of the options that will be available in the new F56 including two new exterior colors, Volcanic Orange and Iced Chocolate Metallic; new lighting, LED Headlights with cornering light; a parking assistance package with backup camera; an updated cruise control with braking function; a head up display for the windshield; intelligent emergency calling; several different MINI Connected packages; and electronic damper control. AROnline recounts Keith Adams long winding one day journey returning to the United Kingdom in his 2013 MINI Clubvan from International Mini Meet 2013 which had occurred in Mugello, Italy. Gasgoo.com reports that, contrary to prior news reports, BMW has announced, despite its manufacturing expansion in China, it has no plans to produce Chinese MINIs in China. 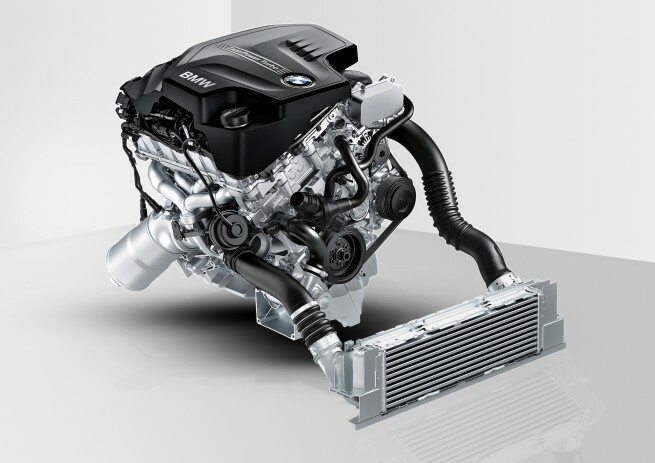 BMW Blog reports that International Engine Of The Year Awards were granted to the 2.0-litre four-cylinder engine with BMW TwinPower Turbo technology fitted in models including the BMW 1 Series, BMW 3 Series and BMW 5 Series and, for the third year in a row, to the 1.6-litre four-cylinder MINI TwinPower Turbo engine from the MINI Cooper S.
Australia-based GearTV63 provides an in-depth video tour. Jeez, all I got was student loan payments. Car and Driver slices a run-flat and a conventional tire in half and compares the two.